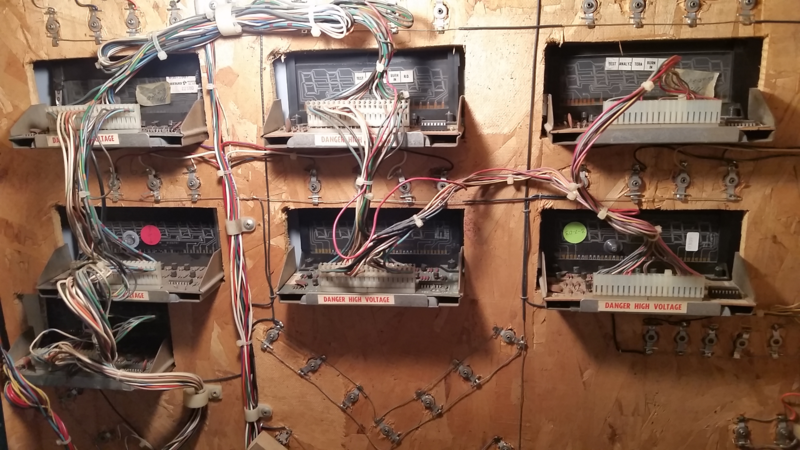 I am helping a friend try to find someone to service his currently non-working (not adding credits with coin drop, no display lights) big ball bowler in central Pennsylvania (near Lock Haven). This is one of those games likely from the 60s that was modded in the 80s or so with Bally and Stern boards. It was working until recently. 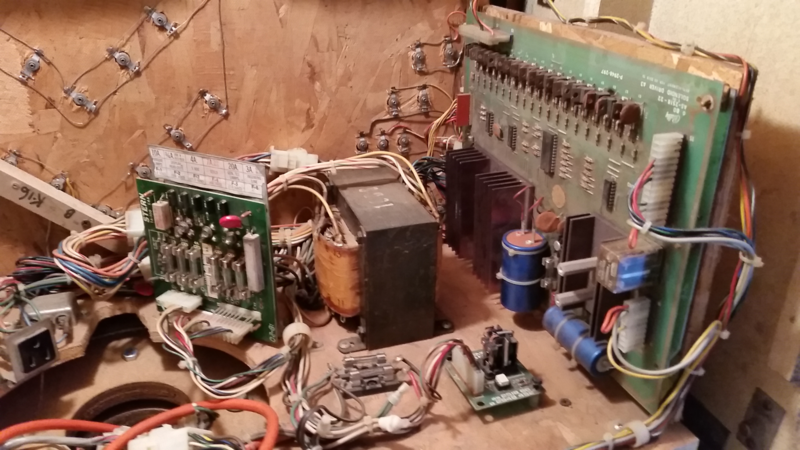 I don't know much more about it other than the MPU is obviously a Bally AS 2518-133 and there is no documentation about the related board circuitry. 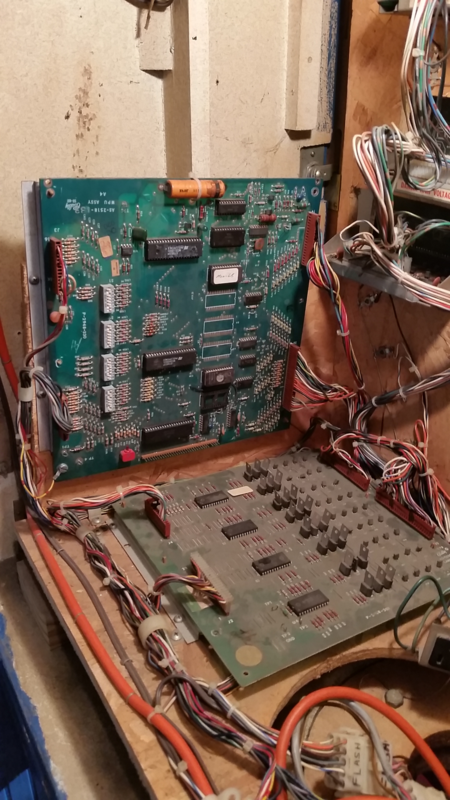 I know the Alltek makes a replacement board, but I wonder if it would really work in a big ball bowler and whether the Bally MPU has dip switch settings that would match. Servicing this myself is beyond my skills. Any leads or general advice is appreciated. A few pix follow. That was a conversion done by Reed Drummond years ago; I used to buy a lot of the pinball backglasses & playfields from him when he would junk the game to use the boards & displays for the bowlers. I think the MPU looks corroded, how many flashes are you getting on power up? According to the Alltek website it lists Big Ball Bowling. May also want to check fuses and voltages on the rectifier board. Thanks for the replies. I haven't seen the machine yet--just pix--and the owner is spotty on information. Spoke to Dave at Alltek in case a replacement MPU is needed, and he thinks his would do the trick. But a local generous pinsider with real skills has now offered to go look at the game with me in a few weeks, so we'll see what that brings. Just wrapping up this thread. 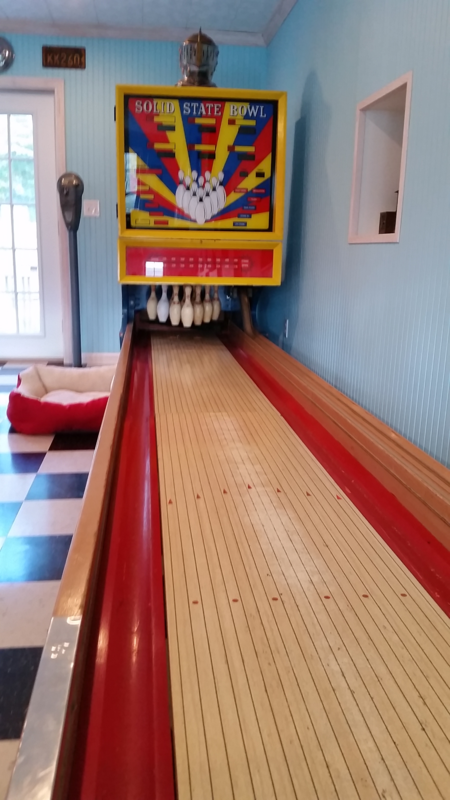 The bowler is now fixed thanks to the expert help of a generous pinsider, who diagnosed and did work on four boards to bring the machine back to life. The bowler owner is very happy and it was cool to see one of these in action. Thanks, pinside! Who was the pinsider? I have an identical big ball bowler I can't get working to save my life. Sorry, I'm keeping him anonymous because I don't want to ask too much of him and because he's in central PA--too far to travel to CT. If he reads this thread (as he did originally without my asking) and reaches out to you, then that's great, but I won't ask that of him. 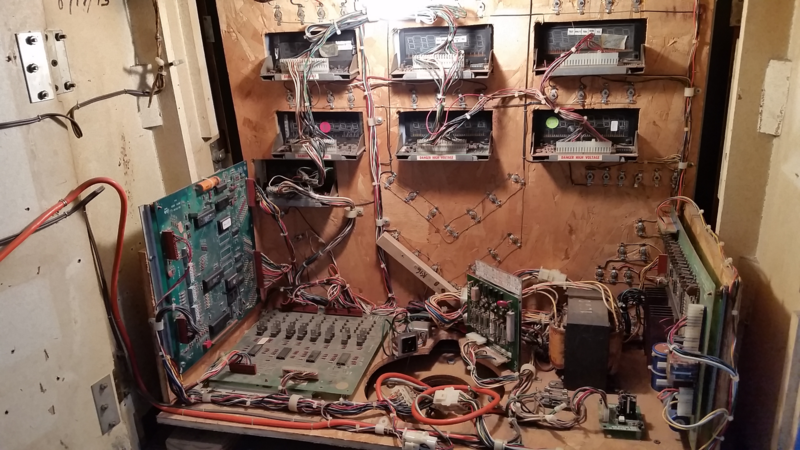 What I can tell you is that every board in the bowler required work, and with no documentation of the bowler, part of why he was able to get it running is because he happened to have a Lost World that used the same boards--thus he could work at his bench and test in his game. Sorry I can't be helpful, but if you can find a great pinball tech in your area perhaps you would get lucky, as I and the bowler owner did. Good luck to you.